Place dish under broiler to melt cheese. Use an oven safe dish. Spray a skillet with non-stick cooing spray. Add chili and franks and cook over medium heat until heated through. Remove from heat and set aside. 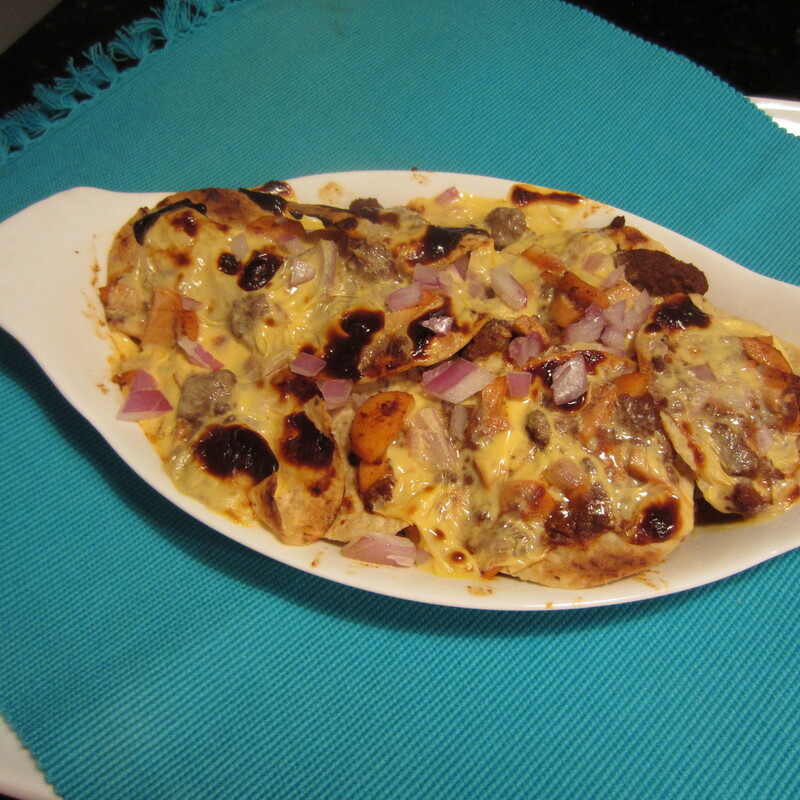 Place nacho chips in an oven safe dish or platter. Spray the dish lightly with non-stick cooking oil. Spread 1/3 of the chili dog mixture over the chips, then layer with onion. Top with strips of cheddar cheese. Place under broiler and heat until cheese melts. Add sour cream and/or salsa if desired. NOTE: The can of turkey chili with added franks will easily make 3 servings. Divide it out into three portions if you wish. You may need to add an extra slice or two of the cheddar cheese when making 3 portions.